I hope everyone had a Happy Mother’s Day! I had a wonderful 2nd Mother’s Day with my little one! I spent the whole day with her and then we stopped by my mom’s house to spend sometime with her as well. 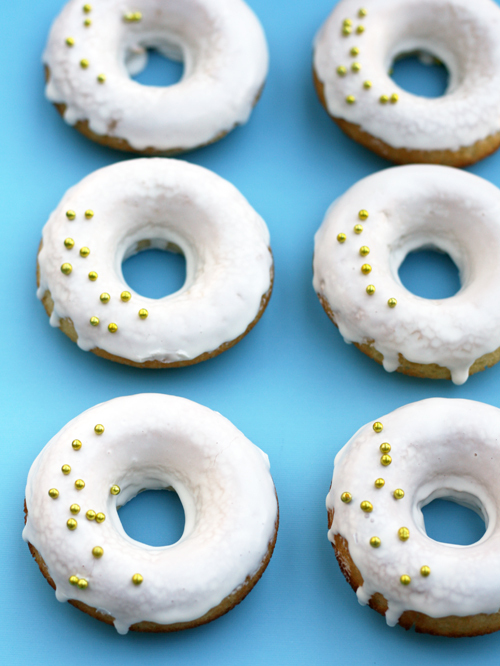 I baked up these amazing donuts on Friday and I couldn’t wait to share them with you! They are so easy and fast to make and they taste delicious! When they first came out of the oven I tried one and they weren’t too sweet and I was a little worried that they could use a bit more sugar. 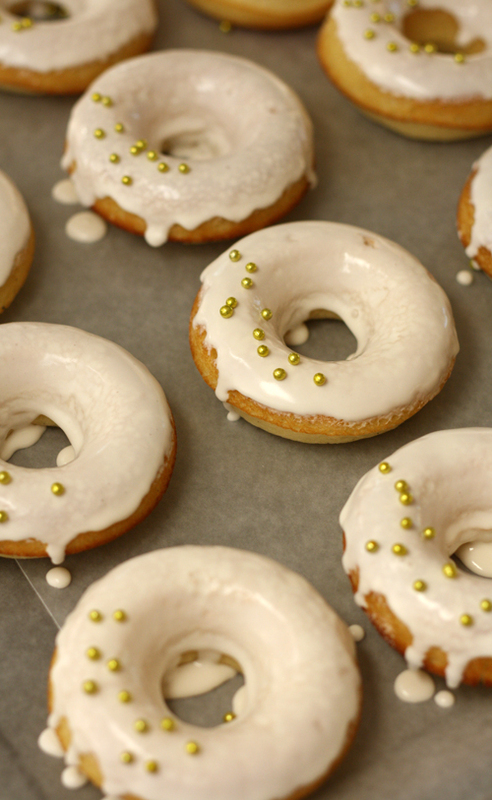 But don’t worry when you glaze them they have the perfect balance of sweetness to them! 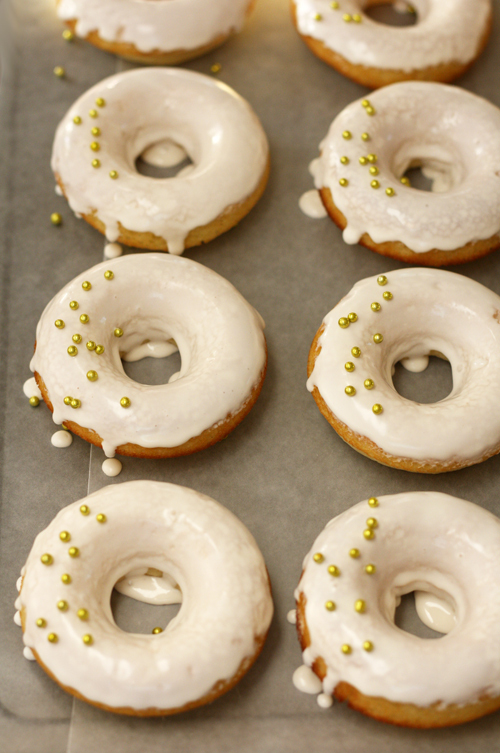 Along the way I will share some tips that will help you bake the donuts to perfection! With that being said lets start with first tip! 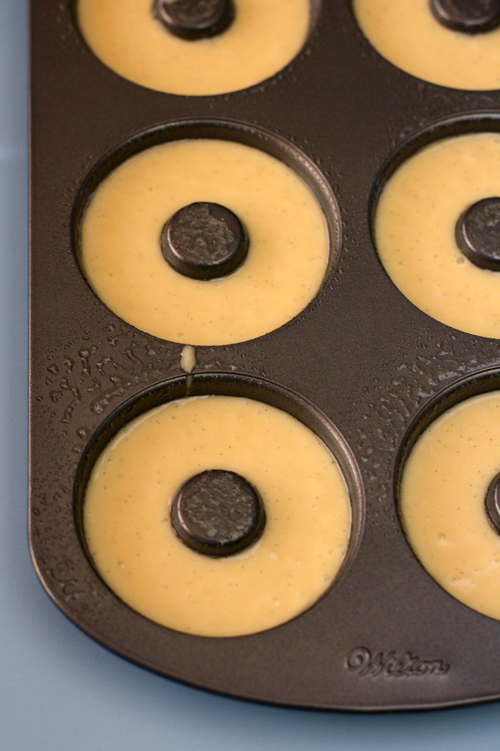 Tip: Spray the cavities of your donut pan generously with cooking spray so that your donuts come out of the pan easily once they are done. 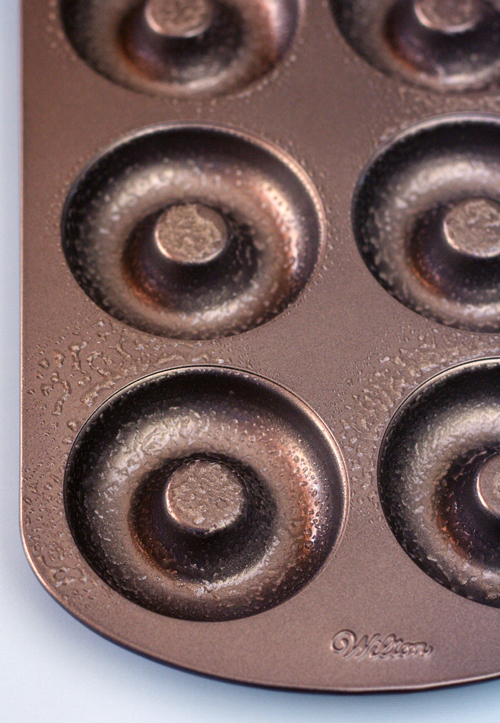 Tip: Fill the donut pan cavities 2/3 full only. This will help the donut maintain it’s shape. If filled more, the donut hole will be covered once the are baked and you will lose the perfect donut shape! Tip: Because you are leaving them in the pan to cool for a few minutes it’s ok to remove them from the oven a bit earlier than the recipe states. Get to know your oven, some bake faster and some bake slower. Remember they will continue to cook while they are in the pan. Tip: Place them on a wire rack. This will ensure they get ventilation from the top and the bottom and will stop the baking process much faster than placing them on a cookie sheet. 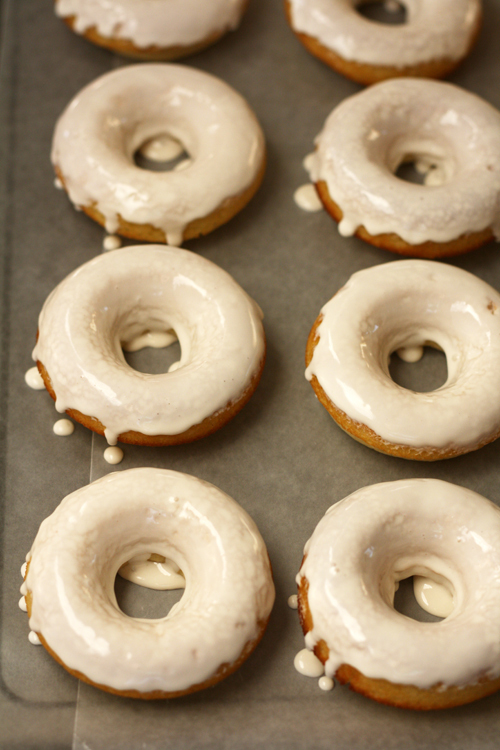 Tip: When you make the glaze recipe make sure to use it right away, because the glaze will harden fast! These taste great as is! But I wanted to dress them up a bit so I added gold dragees! Let your imagination run wild! 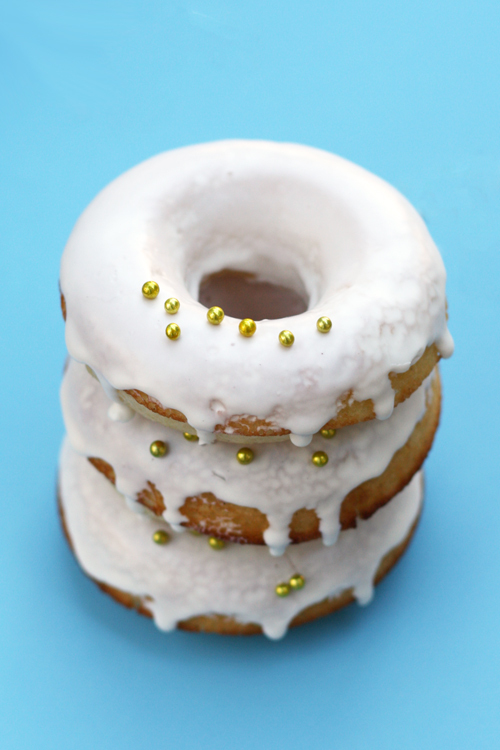 You can add many fun things like sprinkles (jimmies, nonpareils), sanding sugar, fondant, glitter and gold leaf just to name a few! I hope you have fun baking some donuts soon! And I hope you have even more fun decorating them! In a bowl sift together the flour, sugar, baking powder, salt and set aside. In the bowl of your stand mixer add buttermilk, eggs, melted butter, vanilla bean paste, vanilla extract and beat until combined. Add the dry ingredients to the wet and beat until combined. Give the bowl a good scrape with a silicon spatula and beat one more time. 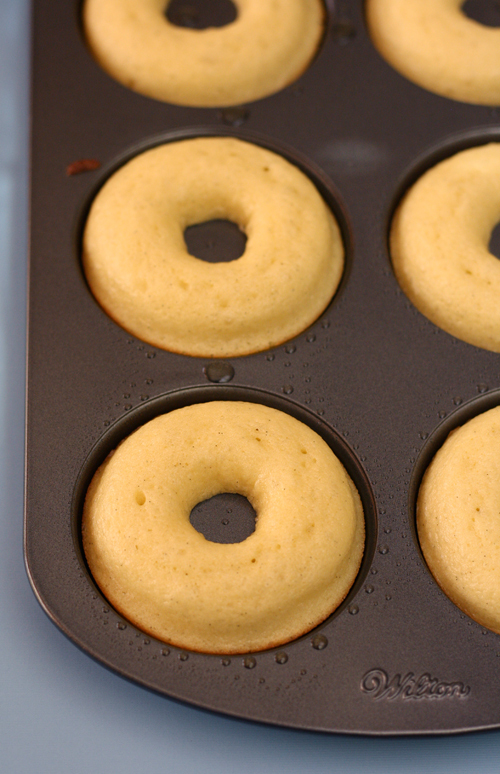 Fill the cavities of the doughnut pan 2/3 full. Bake for 5 - 7 minutes or until the top springs back when touched. 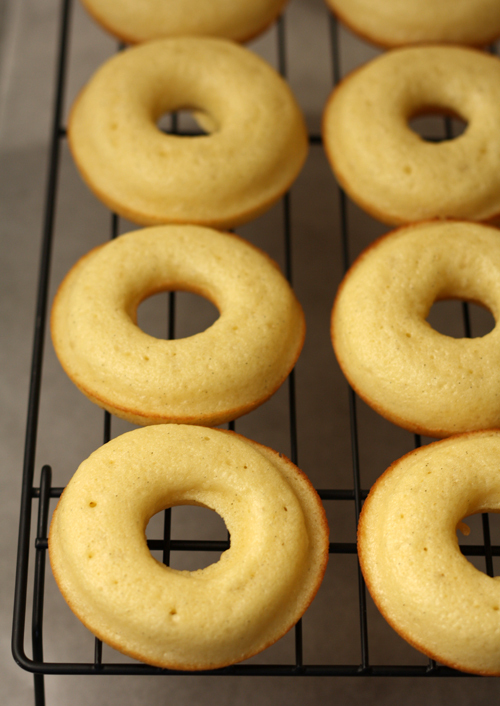 Let the donuts cool in the pan for 2 - 3 minutes before removing them and placing them on a wire rack to continue to cool. Place all ingredients in a small bowl and whisk until sugar is dissolved. 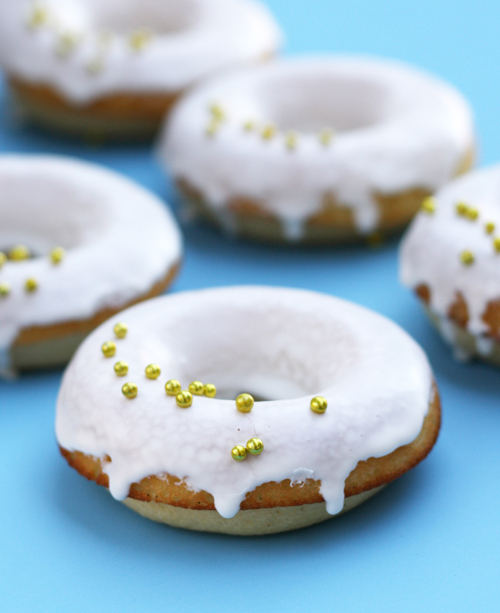 Use immediately by dunking each donut into the bowl, give them a few shakes upside down to remove excess glaze. Place them on a waxed cookie sheet. Leave as is or decorate with sprinkles!